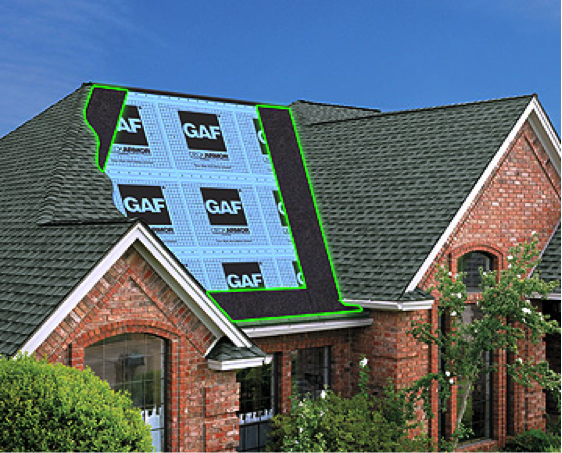 Starter Strips help to prevent shingle blow-offs because of their factory-applied adhesive strips. 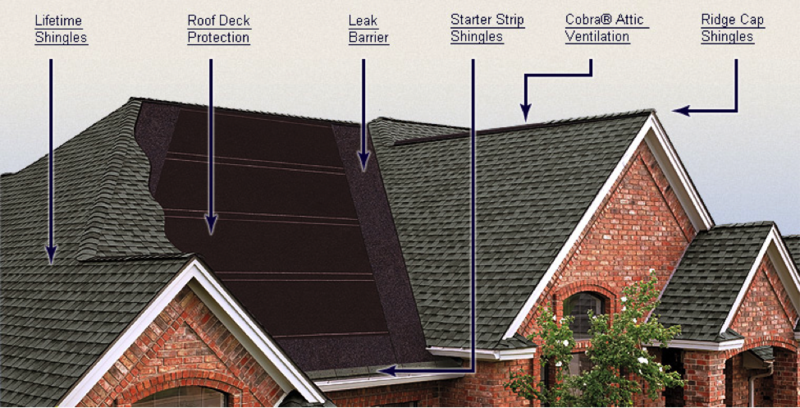 Roof Deck Protection (roofing felt) provides an extra layer of protection between your shingles and roof. 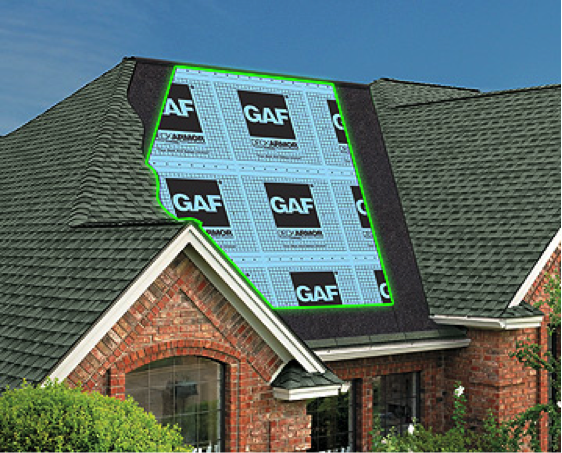 Installed at the most vulnerable parts of your roof, these self-adhering membranes help prevent leaking from ice dams and wind-driven rain. 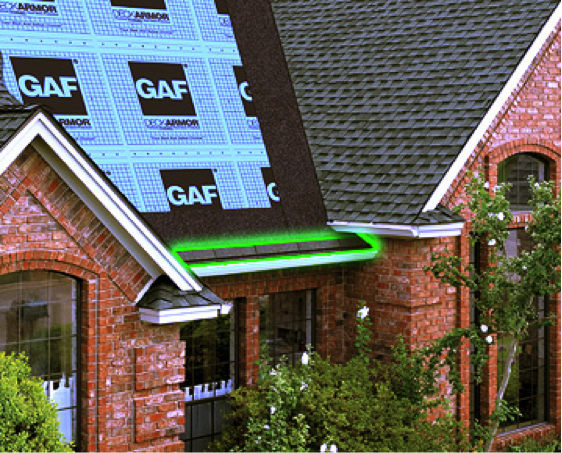 Proper attic ventilation provides a continual flow of outside air through the attic, protecting the efficiency of your insulation and helping to lower temperatures in the living space. 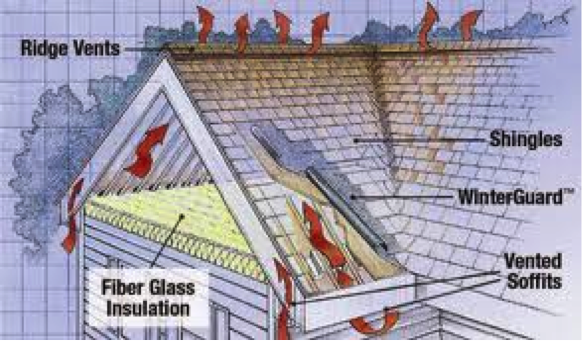 Proper attic ventilation consists of an equal amount of intake air (from vented soffits in this illustration) and exhaust ventilation near the top of your roof. 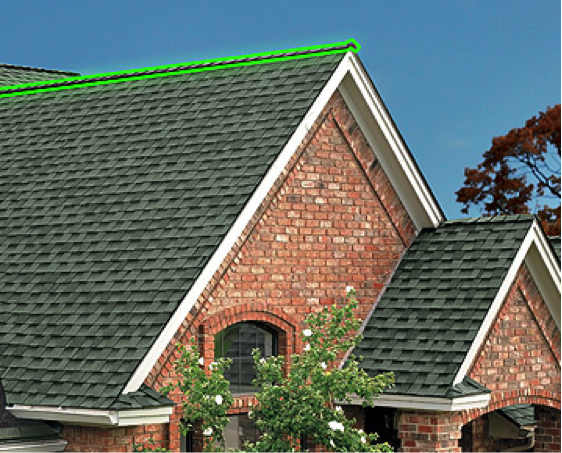 Exhaust ventilation can be provided using Ridge Vents (shown here), roof louvers or turbines, power fans, or gable vents.